THANKS FOR CHECKING OUT OUR FILM NOIR THURSDAY LISTINGS!STAR WARS (20th Century Fox, 1977)Size: 8 Original U.S. 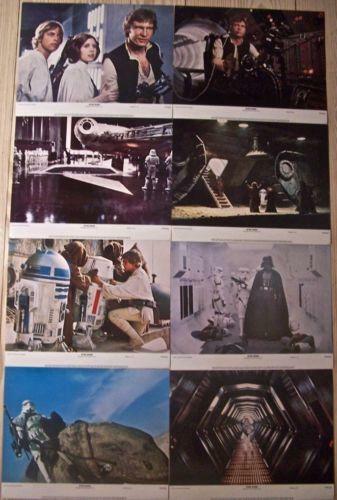 Lobby Cards (11″ x 14″ each card).Condition: Overall in Fine to Very Fine Condition. 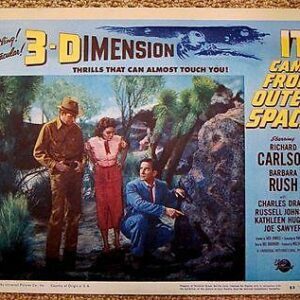 These original NSS #77021 Lobby Cards have only faint edgewear and some corner tip creases, otherwise these terrific Lobby Cards display like-new color, NO pinholes or lost paper and feature great images from this modern “space western” science fiction classic! 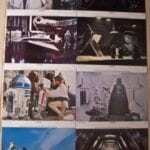 Please refer to the attached images and enlarge for a detailed view of this Original second printing NSS# 770021 complete Lobby Card Set of 8 for the first 1977 release of STAR WARS. 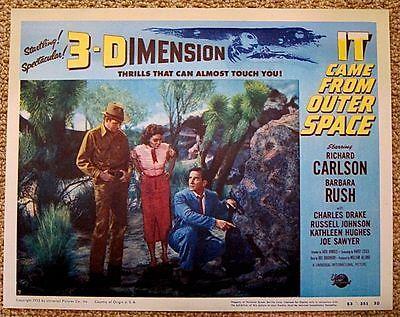 IT CAME FROM OUTER SPACE 1953 LOBBY CARD #7 3-D SCIENCE FICTION HORROR CLASSIC! REDUCED 75! MARRIED A MONSTER FROM OUTER SPACE '58 1 SH ~ ALIEN'S TAKE OVER! REDUCED 75! 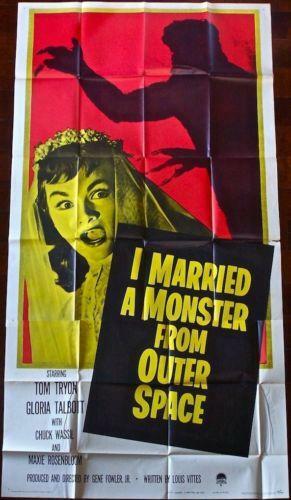 MARRIED A MONSTER FROM OUTER SPACE ’58 1 SH ~ ALIEN’S TAKE OVER!